In the central commercial area, an old wholesale shoe market will be demolished shortly. The local government planned to redesign this area by adding bus terminals, public green land, commercial and office buildings. It is presumed by archeologists that the old city wall and its wall gates were buried under the northwestern side of this area. 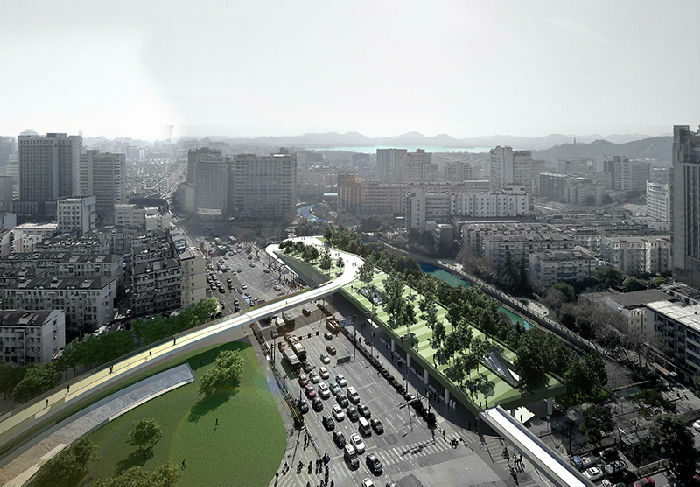 A pedestrian corridor, therefore, was planned along the longish site, linking the relics park, commercial district, bus terminals and office buildings. The scheme focused on using the land efficiently by a three-dimensional arrangement. 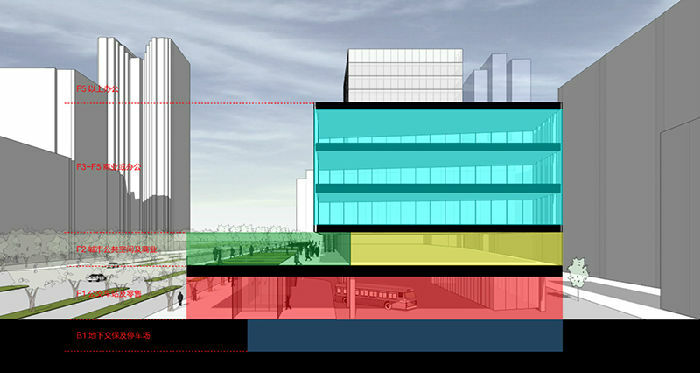 Its integrated multi-functionality creates a diverse and lively urban space. A modern overpass is constructed along the ancient wall outline. Passengers could enjoy the charm of the ancient city wall by using techniques of augmented reality, which could be regarded as an attempt to use modern technology for historic preservation under given urban construction conditions.